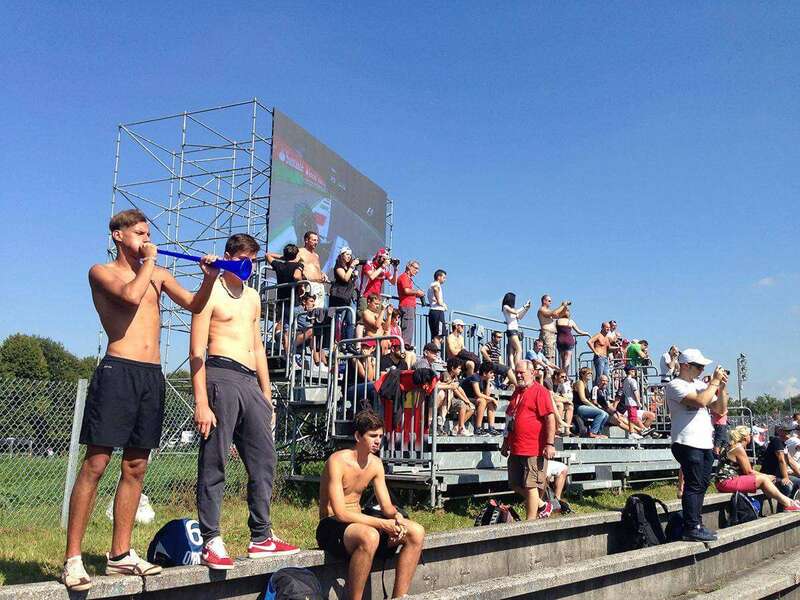 Start planning your trip to Milan for the Italian Formula 1 Grand Prix at the Monza circuit. The next race weekend is on September 5-8, 2019. Stretching from the mountainous north to the Italian peninsula in the south, Italy is a culturally and historically rich country in Southern Europe with a population of 61 million. The Italian Grand Prix is held each year at the tail end of the European summer in Monza, a small town just outside Milan. A world leader in design and fashion with a rich history of art and culture, Milan is Italy’s second biggest city with a population in excess of 4 million. A fascinating blend of old and new, Milan features a historic center (home to the Duomo, the world’s third largest church) as well as the imposing skyscrapers of the Port Garibaldi financial district. The city is the capital of Lombardy, the wealthy industrial heartland of Italy and the home of media tycoon Silvio Berlusconi, the controversial ex-Prime Minister. The short answer is no for most tourists, especially those from Western countries. Italy is part of the Schengen area, which provides borderless travel between 26 European member states, including countries close to Italy such as France and Switzerland. Find out here if you need a Schengen visa. Both Milan and Monza are relatively safe and violent crime is rare. Pickpockets are active in the city centre of Milan (particularly at the central train station) and on public transport, so be vigilant and keep your belongings secure. Renting a car? 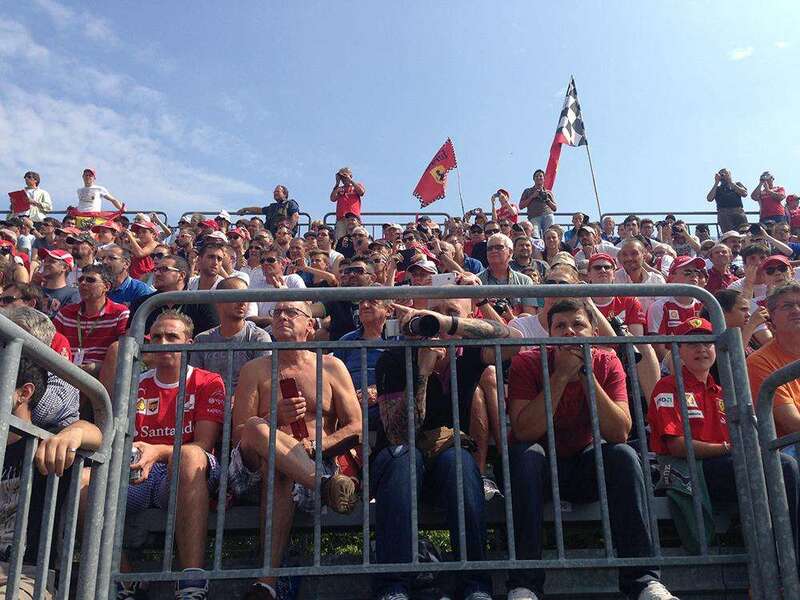 Don’t leave any valuables in it, especially at the Monza trackside parking. The currency of Italy is the EURO. Credit cards are widely accepted and ATMs (‘bancomat’ in Italian) are easy to find. Don’t take the risk of bringing lots of cash or travelers cheques – just withdraw the money you will need each day or two. Tipping is not expected in Italy, though you can reward good service in a restaurant with a tip of up to 10%. Many Italians speak and understand at least some English, particularly in the service industry. But it’s still worth buying yourself an Italian phrasebook and learning some pleasantries. The locals will appreciate you making an effort! Check out the Italian for Dummies Cheat Sheet to learn a few basic phrases before your arrival. Pharmacies (‘farmacia’) are plentiful and operate on a rota basis so there will always be one open nearby. If you are travelling from Europe, don’t forget to organise an EHIC card to access free medical services. You should also organise adequate travel insurance in case of a medical emergency. The Italian Grand Prix is held each year in early September at the end of the hot Italian summer when crisp mornings give way to clear, sunny skies and pleasantly warm days. Average daily maximum temperatures in September are in the mid-twenties and the chance of rain is quite low – on average, Milan only experiences five wet days in September. You will be fine in shorts and t-shirt during the day, but don’t forget to throw in a light jumper/jacket for the cooler evenings and some waterproofs, just in case. Italy operates on Central European Time (CET), which equates to GMT +1 hour. The number to dial in case of an emergency in Italy is 112. What are you tips for traveling in Italy? Leave a comment! What time will the GP finish on Sunday in Monza? I have to fly out at 22:00 from Milan. Hi Naz, the race should be done by 4pm at the latest. Even if it takes you a little extra time to leave the circuit, you should be fine to get your flight at 10pm. Enjoy the race! Hey Is it worth travelling out to the pit walk on the Thursday if we are there all weekend? Should we use gate e if sitting at grandstand 24 Vedeno? Hi Margaret, it’s worth going to the pitlane walk if you are in town. This is a good chance to walk on the track and see some parts of the circuit that won’t be open the rest of the weekend. But if you are keen on getting driver’s autographs, it may not be the best place to do this as there are too many fans. Try going here instead. Thank you for coming back to me sorry just seeing this now, do you know which gate we enter for Grandstand 24, I hear it has restricted views, hopefully they are not too bad. Thank you for the heads up we were going to stay in Lake Garda till Friday then go all weekend so may just try there to see if we can catch a glimpse! Hi Joe, you don’t need a General Admission ticket. 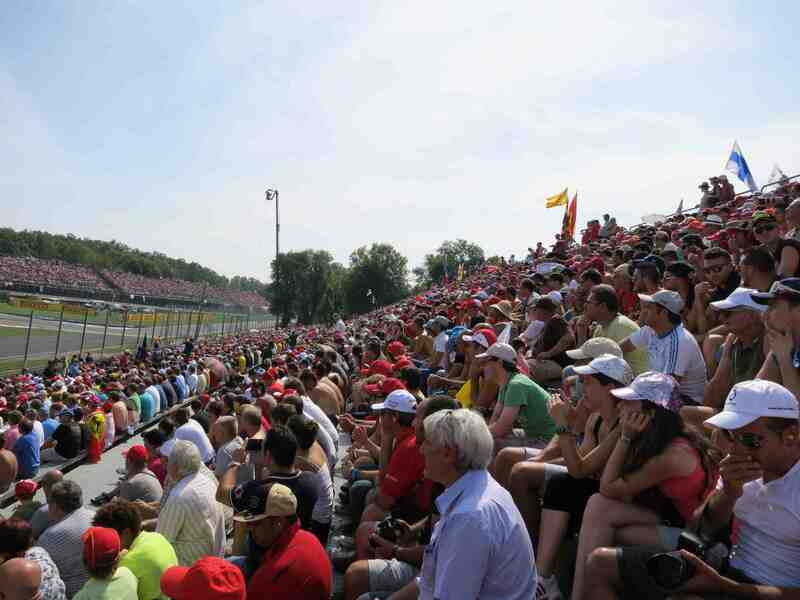 Your Inner Parabolica ticket give you access to the circuit, including the General Admission areas! Two of us will be staying in Como near the Como station, we have tickets for Ascari stand 15. What is the best way for us to get from Como station to our stand (gate ingress E) ? Tim, best is train to Monza station, followed by Black shuttle bus, then walking. Good luck! 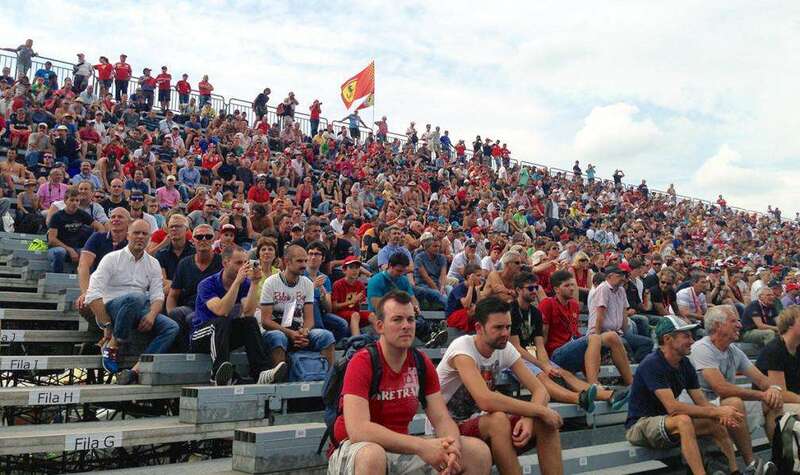 Hi Pedro, there are some good General Admission viewing spots on the inside of Parabolica, which is not that far to walk if you are coming by the train from Milan. Children 11 and under get free General Admission. Hi, My boyfriend and I will be attending my first GP this year at Monza (my 40th birthday gift to him). We will be staying at a hotel next to Milan Malpensa Airport Terminal 2 due to the flight arrival and departure times. I am wondering about travelling to and from the circuit. Do you know if there is a 3/4 day pass to travel by train and/or bus that we could get; alternatively what would be our best and cheapest mode of transport from the airport? Any details you could provide would be greatly appreciated or being pointed in the right direction of who to contact for this information would be most welcomed. Hi, Please can you advise can you use visa card at the circuit to buy merchandise caps and shirts. We’re driving to Monza for race day with my 4yo son. I understand the car parks are outside the circuit. Have you any advice on which would be the best car park to find so we dont have a long walk with him. Staying in Bergamo for 2019 race,how is getting to/from.Hoping to sit in 26/27-is this ok for podium view? Hi Ian, there are regular trains from Bergamo to Monza on race weekend. Best podium view is from 26C. Thanks you from a girl who is giving his boyfriend tickets to this event but knows nothing about it. this article will help me to ensure i give my boyfriend the best experience possible. Thanks so much!! !